Archaeologists hope to find missing French gold sent to Scotland to help fund a Jacobite Rebellion buried under a remote Highland beach. A portion of the money was believed to have been hidden at Arisaig, near Mallaig, in the 1700s. Neil Oliver is leading the hunt for the gold for a new BBC Two series called History Detectives. The money did not arrive in Scotland until after the Jacobites' defeat at the Battle of Culloden in April 1746. 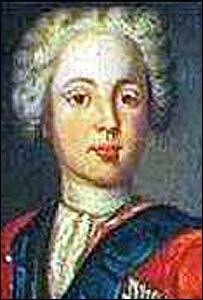 It was intended to finance Charles Edward Stuart - Bonnie Prince Charlie - and his efforts against the British monarch, George II, and put his father James Stuart on the throne. Mr Oliver, an archaeologist and co-presenter of TV programmes Two Men in a Trench and Coast, said the original complete sum of money sent from France may be worth £5m today. What happened to the gold remains a mystery, however, a share of it could have been buried at Arisaig. Mr Oliver said the clues to its possible location were contained in a letter believed to have been written in October 1746. He said: "It appears to be a death bed confession from a Jacobite who took some of the money and hid it. "Apparently he was so tortured from having taken some of the money. "He says in his letter that he didn't know what it was when he took it then when he found out that it belonged to his rightful prince he made his confession to make sure it got back its rightful owner." Mr Oliver conceded the letter may be a fake, but forensic tests on the ink and paper will confirm its age. He added: "People have been fantasying about the gold since April 1746." History Detectives is to be screened later this year on BBC Two.